It's finally happened! 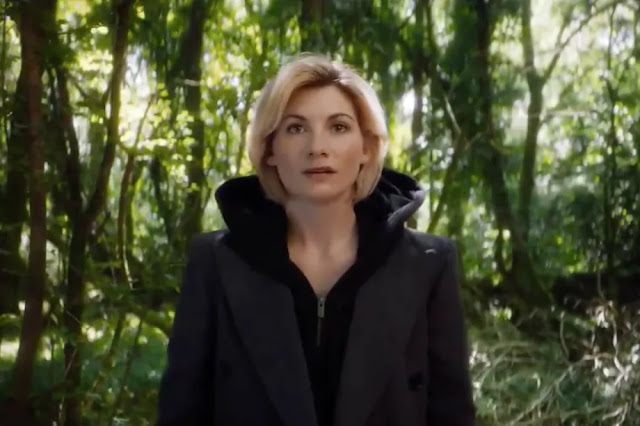 A woman will play the iconic role of the Doctor in the 11th series of Doctor Who, the BBC announced today (in the below video) as Jodie Whittaker (Broadchurch, Attack the Block) will leap into the role currently being exited by Peter Capaldi. Whittaker is a great actress and a great choice for the role, and frankly the one saving grace in an otherwise fairly unexciting upcoming series. I've made no secret to anyone who will listen that I think Chris Chibnall is a pretty bad choice to take over the series, so I take the upcoming 11th Series with a real hint of caution - but, I'm at least far more interested now than I was yesterday, which is saying something. This is a huge step forward for British institution and should be celebrated as such. Forward!